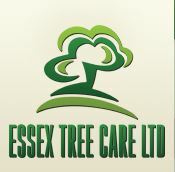 Essex Tree Care Ltd - Garden Services, Tree Surgeon based in Saffron Drive, Essex. Essex Tree Care Essex are fully certified professionals in the practice of arboriculture, with over 35 years of experience offering extensive tree surgery services throughout Essex and East London. Our Tree Surgeons in Essex take great pride in all the work we undertake which is done by fully qualified personnel and covered by a £5 million public liability insurance, giving you peace of mind. With over 10 years’ experience we have fantastic customer feedback, testimonials and you can view some of our previous work. Our reputation is built on both our skill and customer care. Our Tree Surgeons carry out all aspects of tree care in Essex to the highest standards including pruning, reducing, thinning, lifting, felling, hedge trimming, stump grinding, 24 hour call out, storm clearance, etc..
At Essex Tree Care Essex we are always happy to hear from prospective customers to discuss any requirements and will provide a no obligation quote with no hidden extras. At Essex Tree Care Essex our tree surgeons are fully trained and equipped to provide proper care for your trees. You are guaranteed complete peace of mind, with work carried out by experienced NPTC qualified Essex based tree surgeons at competitive rates. We pride ourselves on a clean, tidy and professional service. Insured with £5 million public liability and £10 million employer’s liability cover. As a business we aim to provide our customers with a complete, professional and affordable option for tree work in Essex.